* Available in 50 and 30 serving bags, as well as 200 calorie stick packs. 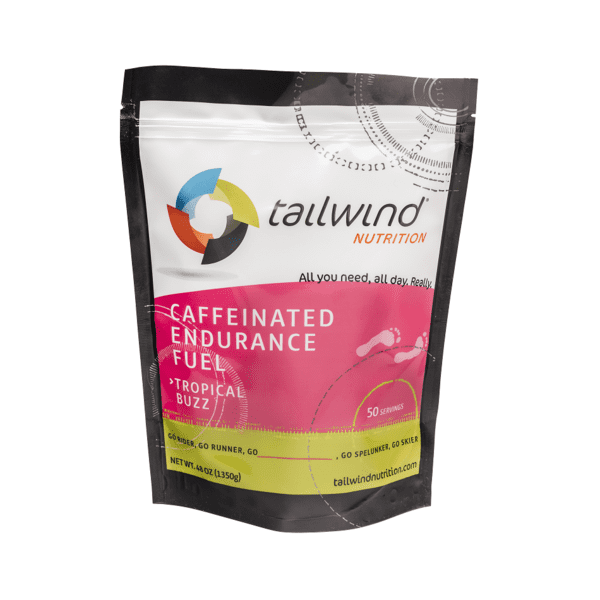 Caffeinated Tailwind meets all your calorie, hydration, and electrolyte needs just like you’d expect, plus it adds 35mg of caffeine per 100 calories. 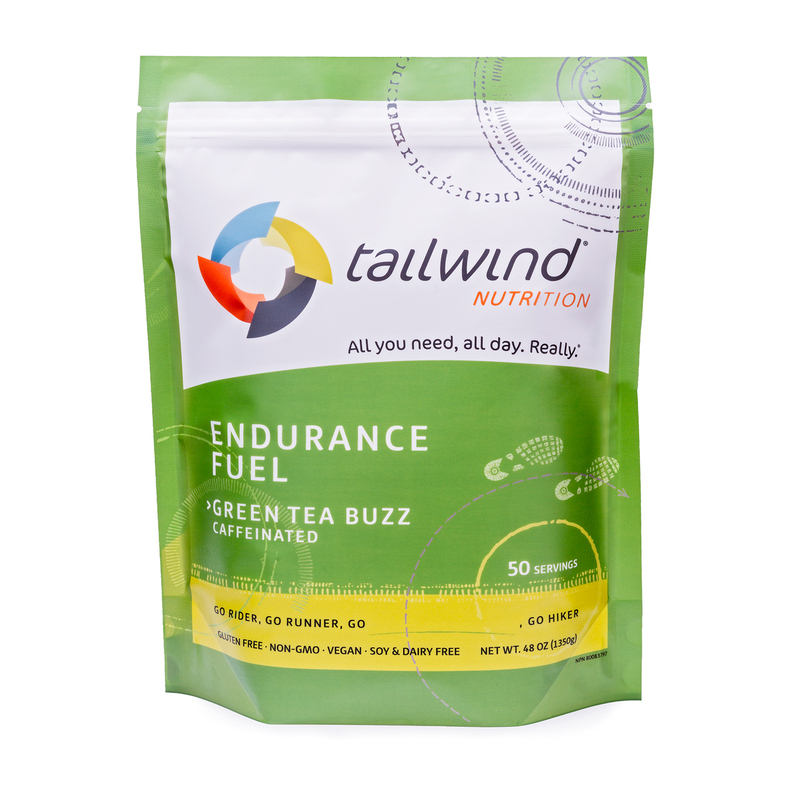 Caffeine is proven to significantly enhance high-intensity and endurance performance. * Available in 50 and 30 serving bags, as well as 200 calorie stick packs. 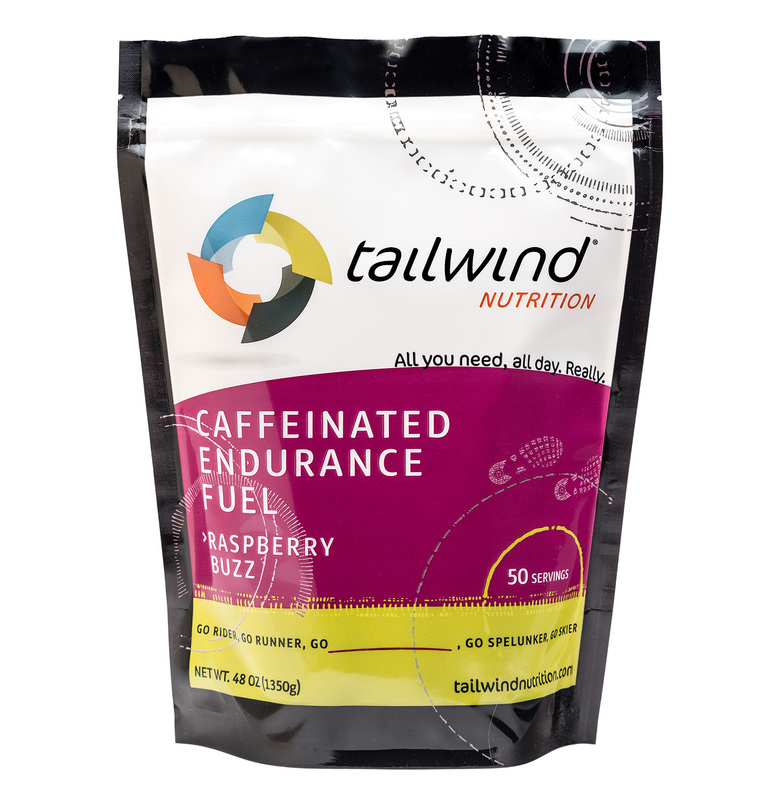 There is quite a bit of research on caffeine and athletic performance demonstrating substantial endurance benefit from caffeine in the 3-5mg/kg concentration range. Caffeine works by mobilizing fatty acids in the bloodstream, which can be burned by muscles. This spares glycogen stores, resulting in greater endurance. The effects can be substantial, in the 15-20% greater endurance range. This is independent of the central nervous system boost we all associate with a good cup of coffee. The CNS boost definitely helps psychologically, and can be achieved with a lower concentration than the ergogenic benefit. The other factor at work is caffeine has a half life of 4 hours on average (this varies from person to person – some process caffeine faster, others slower), which means half of the caffeine present in your bloodstream is eliminated in 4 hours. Also, while 3-5mg/kg body weight is beneficial, more than that does not improve performance, and accumulations exceeding around 500mg can cause side effects like jitters, nausea, etc. Working from the assumption that an athlete will consume 200-250 calories per hour for endurance events, we created a model in Excel that projected accumulated caffeine levels for different weights and scenarios with and without additional caffeine before and during events. 35mg/100 cal concentration is enough to trigger the CNS boost and yields the longest productive ergogenic period for the broadest range of people. A 25mg/100 concentration takes too long to accumulate to 3-5mg/kg and 50mg/100 accumulates too rapidly (meaning you’d have to discontinue use sooner to avoid side effects). 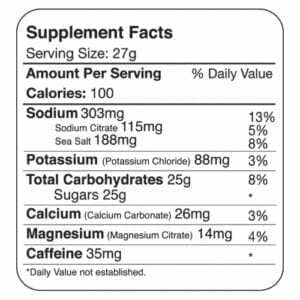 An athlete who knows their personal half-life could devise a more optimal caffeine dosing strategy than using caffeinated products, but what we’re aiming for is maximizing benefit for the most amount of people without risking side effects, and 35mg/100 cal hits the mark most closely.